The sun deck is the perfect place to admire the sights along the river bank. 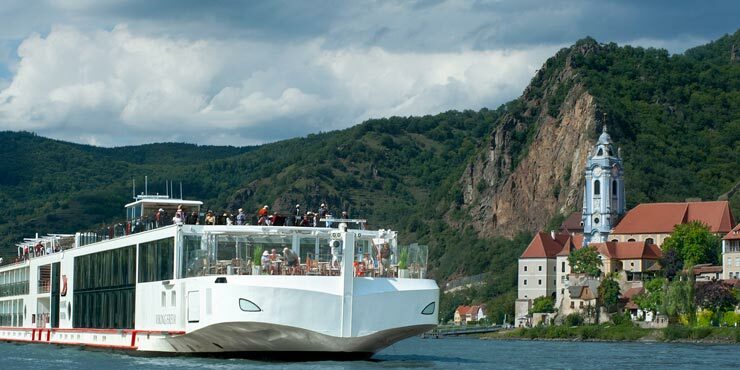 The Viking Aegir is one of six new, state-of-the-art ships, which became part of the Viking River Cruise fleet in 2012. Designed as a “Green ship”, this cruiser features an energy-efficient hybrid engine, solar panels and a herb garden. GROHE Allure faucets elevate the standard of quality in the exclusive bathrooms of the luxurious suites to a first class level.